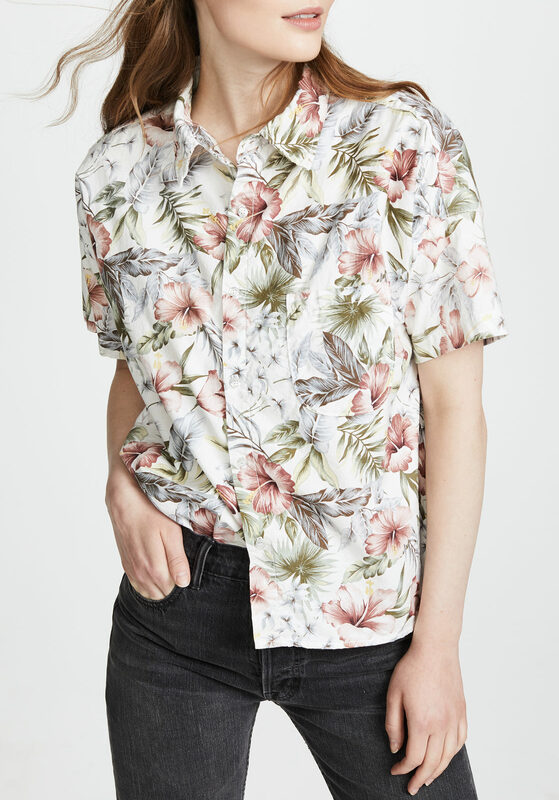 Most all of my button-downs are long-sleeved, which gets hot this time of year, so I’m looking for some short-sleeved options, and I fear I have nothing more exciting to say on the topic than that. They’re just good basic pieces and I need them. 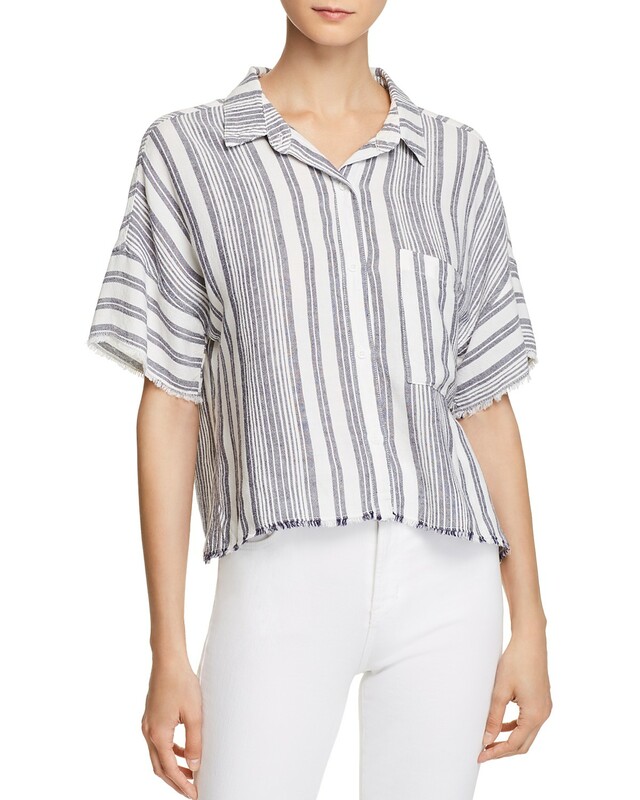 This striped number is so excellently menswearish. 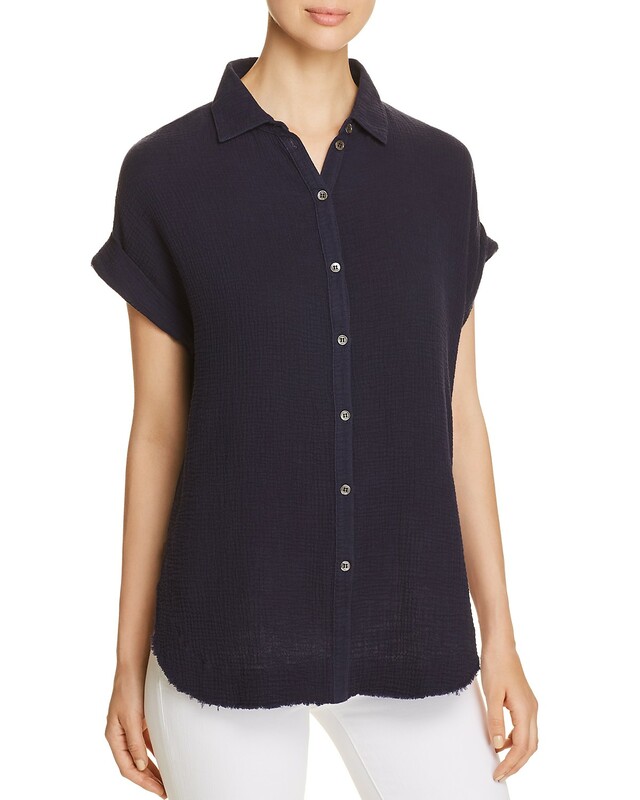 I like the drop shoulders and all-around slouchy vibe of this option from Joie. 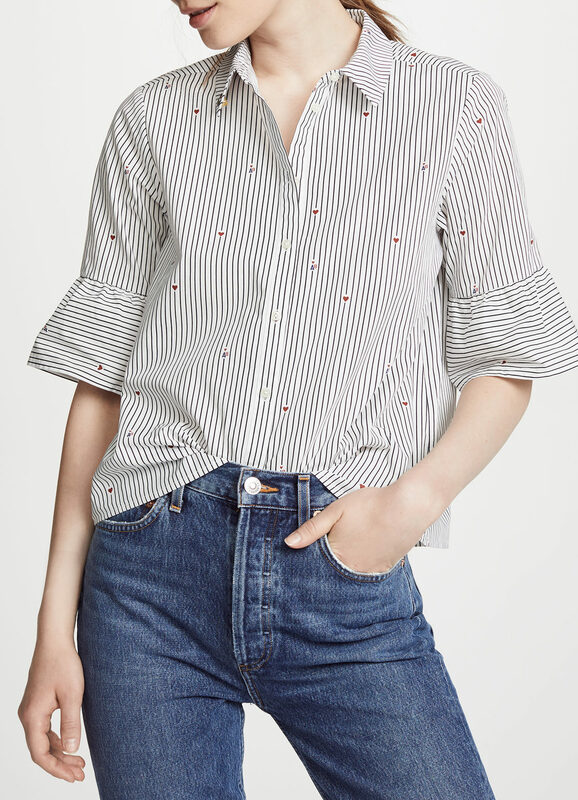 A good, crisp, white choice from Madewell that is nice and blousey. I’m always a sucker for a good rainbow stripe. The flare sleeves and tiny hearts make this one standout. This has subtle metallic stripes, which is fun. 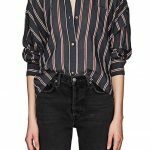 This short-sleeved version of Equipment’s classic Slim Signature blouse has those great front pockets. The styling here makes this gauze top look kind of dorky, but I actually think it’d be aces half-tucked (yes, I am still half-tucking). I dig the black-on-black stripes on this silk option. 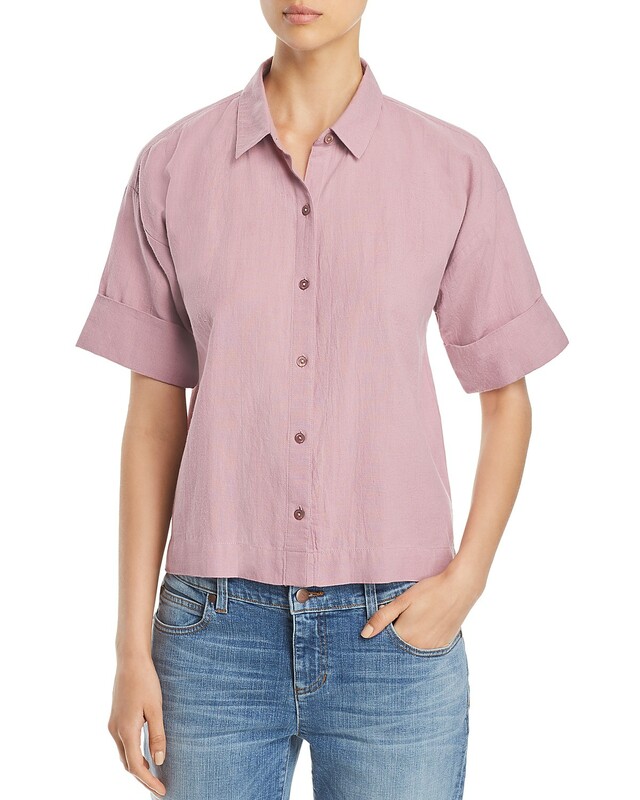 Another chambray shirt, this one with a nifty tie-front. 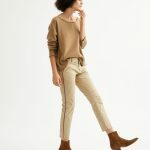 Maybe I’m nuts for thinking this, but the exaggerated sleeves here would make your arms look skinnier, I’m pretty sure. 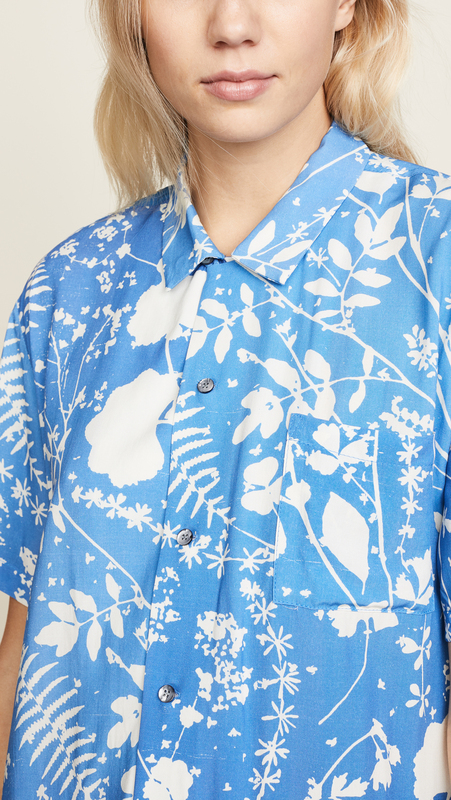 This floral is like a classed-up version of a Hawaiian shirt. 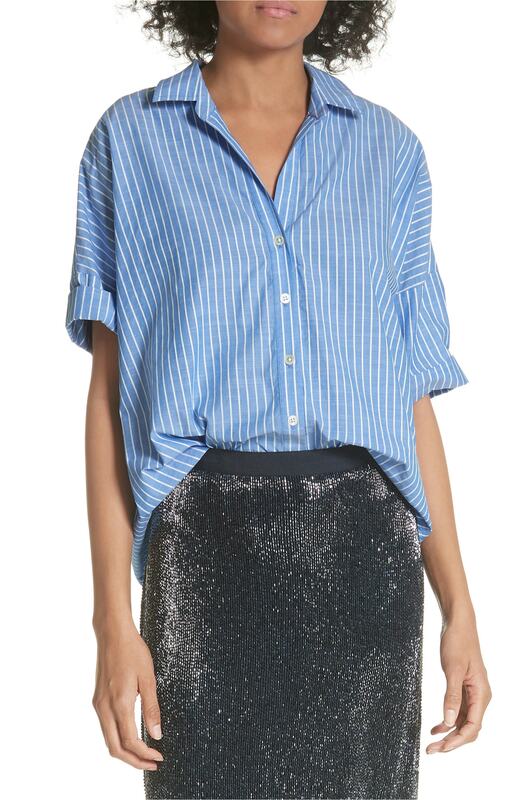 I like the raw hems and variegated stripes here. 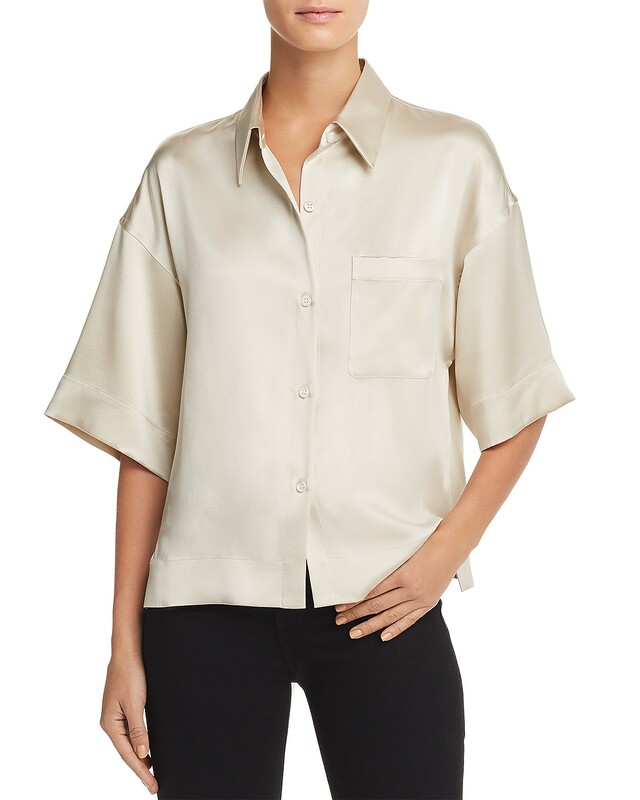 A very elegant and structured silk top. 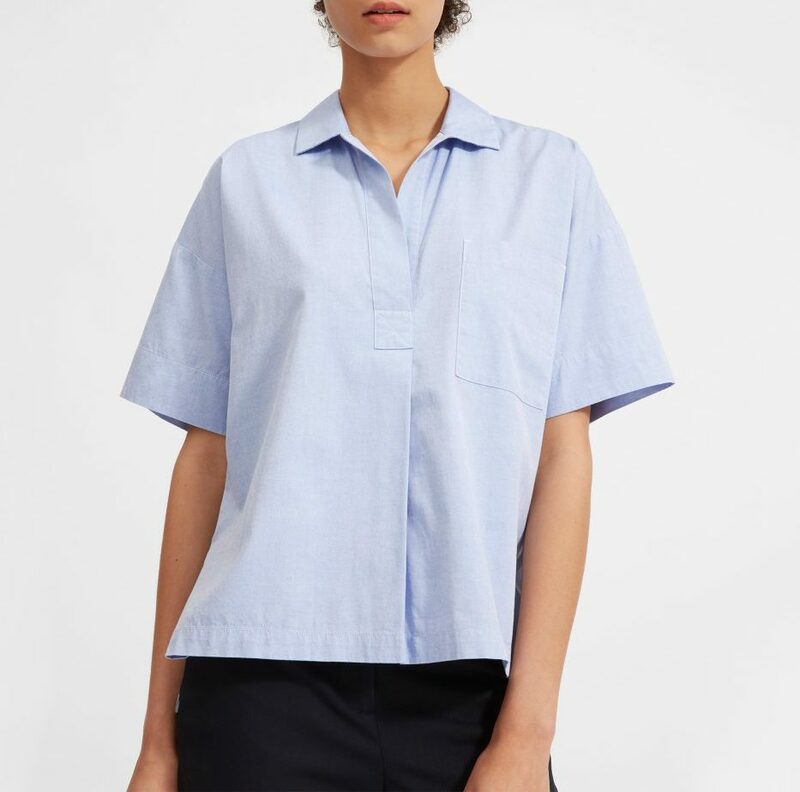 And this popover doesn’t technically belong in a button-down category, but it’s new (and well-priced) from Everlane and I like it. 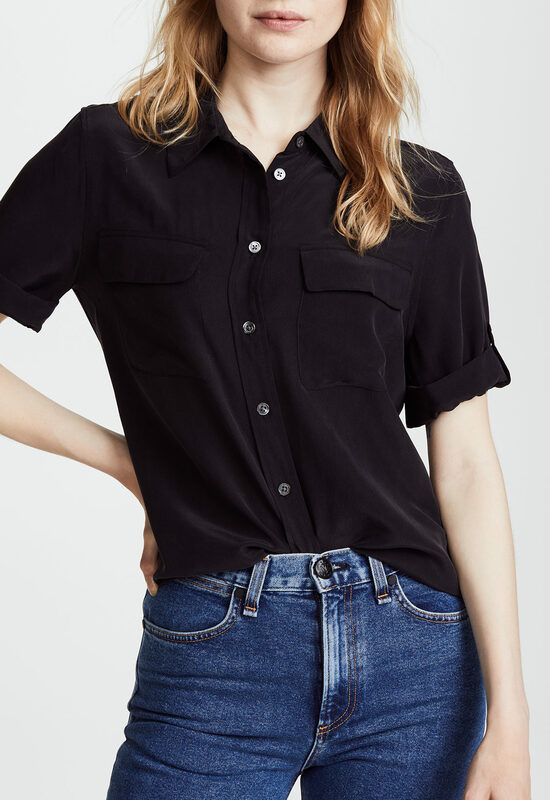 These are such a great alternative to the usual short-sleeved tee. 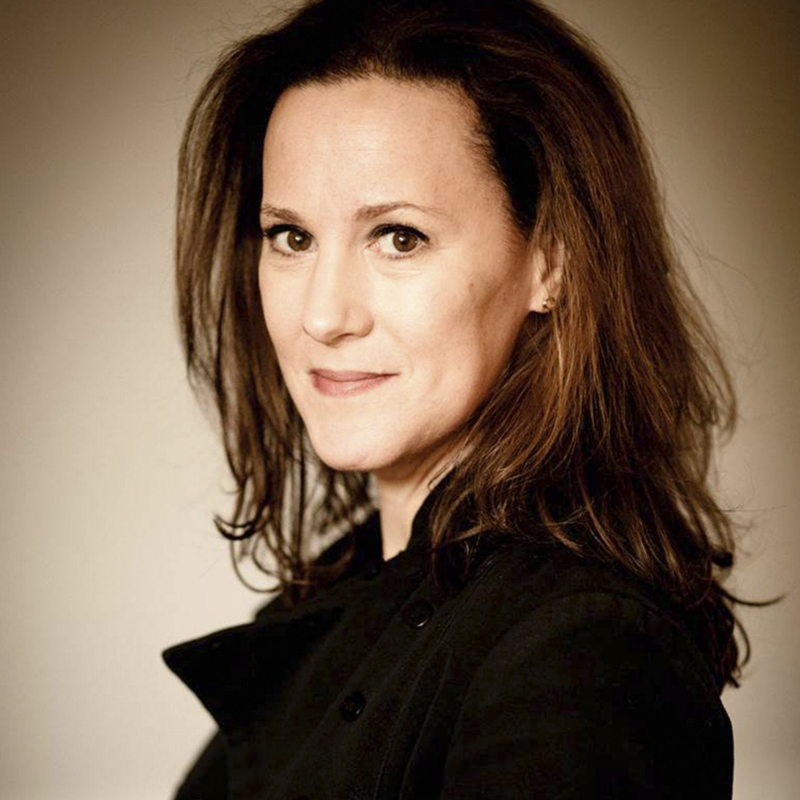 I spend most my waking life in tee-shirts and jeans so something different is welcome. Although the weather here on the east end is still cool, I’ve got my fingers crossed there will be a few warm days in our future which is my excuse for ordering!!! 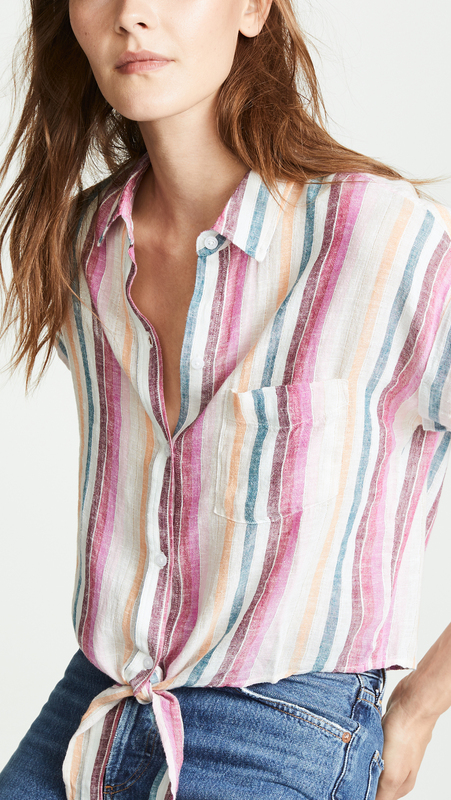 These are such a great alternative to the usual short-sleeved tee. 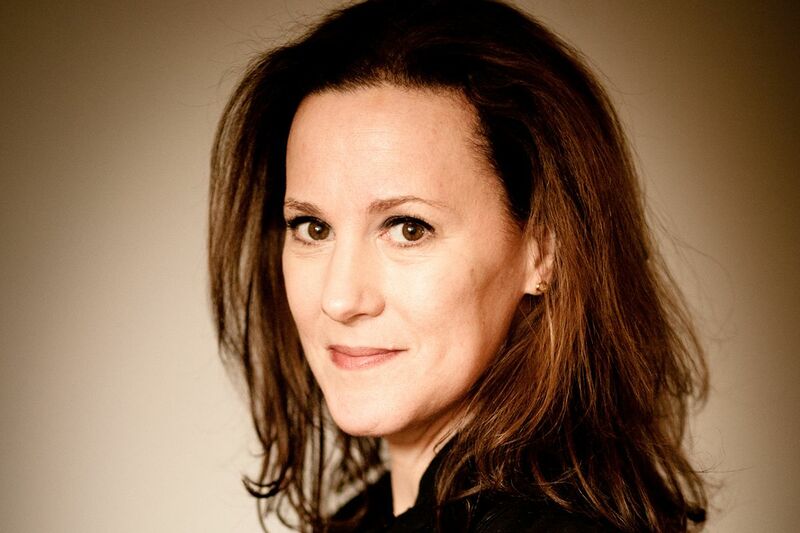 I spend most my waking life in tee-shirts and jeans so something different is welcome. Although the weather here on the east end is still cool, I've got my fingers crossed there will be a few warm days in our future which is my excuse for ordering!!! but, who was the best Uncle Charlie?? I totally remember Ernie Douglas! I can still hum the theme song but, who was the best Uncle Charlie?? Somehow, a long-sleeved shirt with the sleeves rolled up never feels as cool to me as these do. But that’s just me. Somehow, a long-sleeved shirt with the sleeves rolled up never feels as cool to me as these do. But that's just me. 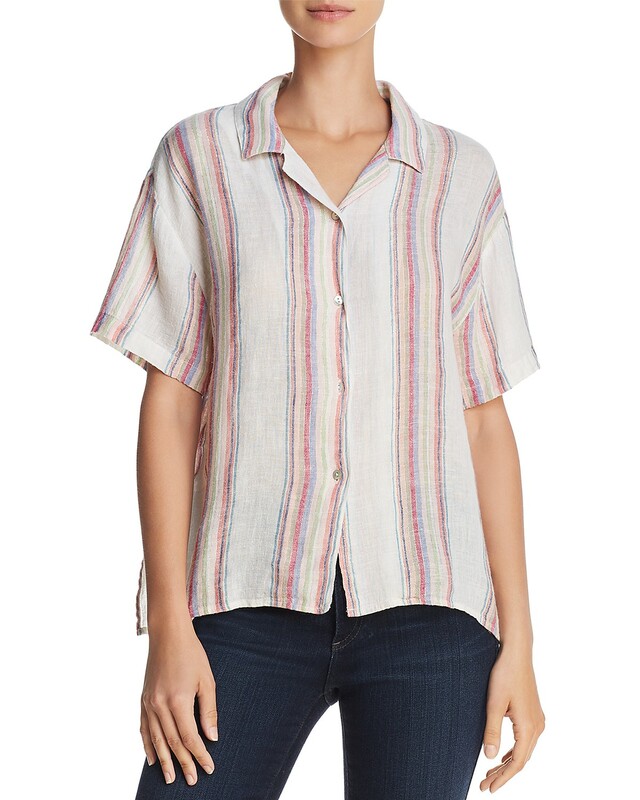 I’m wearing a split back cotton button down with tiny pinstripes in my office with the malfunctioning AC. I usually live in popovers because I have trouble keeping shirts tucked in, but this one was made to be untucked – or perhaps half tucked? (I can never manage that either). 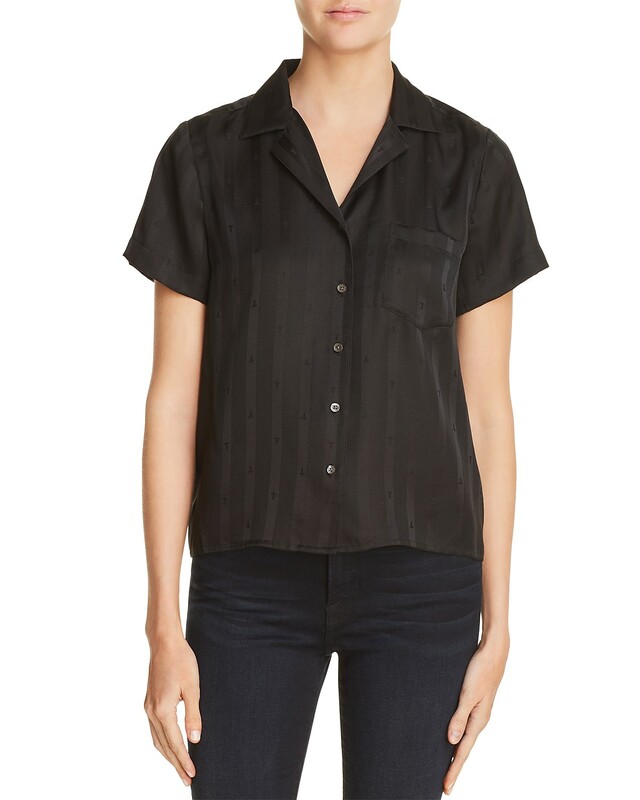 I'm wearing a split back cotton button down with tiny pinstripes in my office with the malfunctioning AC. I usually live in popovers because I have trouble keeping shirts tucked in, but this one was made to be untucked - or perhaps half tucked? (I can never manage that either). Or “French tucked” as the Fab 5 from Queer Eye call it! I especially like the ones with the longer short sleeve, helps hide those silly somewhat jiggly upper arms!! Thank you for this! I also wear tee shirts and jeans and often feel like a slob. But my options are limited – everything out there is sleeveless! I’ve never been a fan of my arms. And yes, way too hot for long-sleeved anything. Thank you for this! I also wear tee shirts and jeans and often feel like a slob. But my options are limited - everything out there is sleeveless! I've never been a fan of my arms. And yes, way too hot for long-sleeved anything. I own the J. Crew striped number, and it is all kinds of cool with my R13 grey skinny jeans and No. 6 New School Clog. You’ve clearly had a major impact on my closet! I own the J. Crew striped number, and it is all kinds of cool with my R13 grey skinny jeans and No. 6 New School Clog. You've clearly had a major impact on my closet! 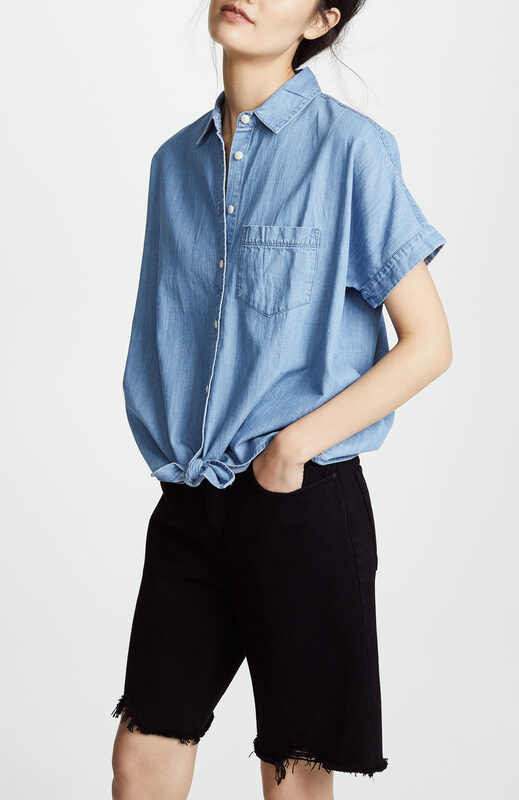 Another purveyor of uncomplicated short-sleeve shirts and good neutral colours is Uniqlo. They’re not particularly unique style-wise, but the fabric washes like a dream and looks brand new after each machine wash. The side splits also allow for the (mandatory!) half tuck. 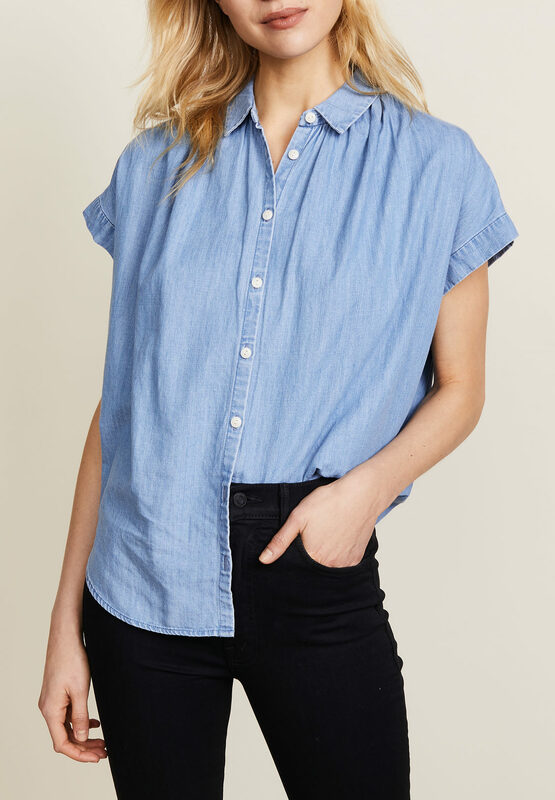 I’ve never especially cared for how buttondowns looked on me, then I tried the Madewell Central Shirt. Game changer. It has just the right structure-to-slouch ratio. I have acquired 4 and don’t see myself stopping any time soon. 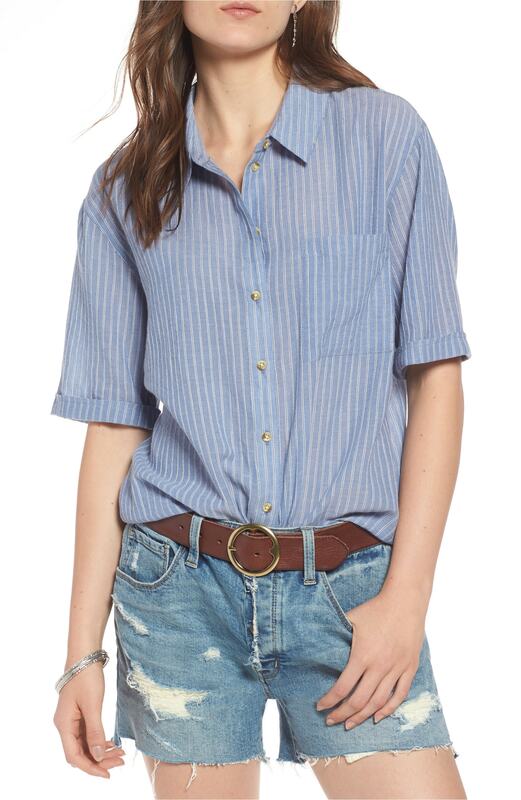 I've never especially cared for how buttondowns looked on me, then I tried the Madewell Central Shirt. Game changer. It has just the right structure-to-slouch ratio. I have acquired 4 and don't see myself stopping any time soon.